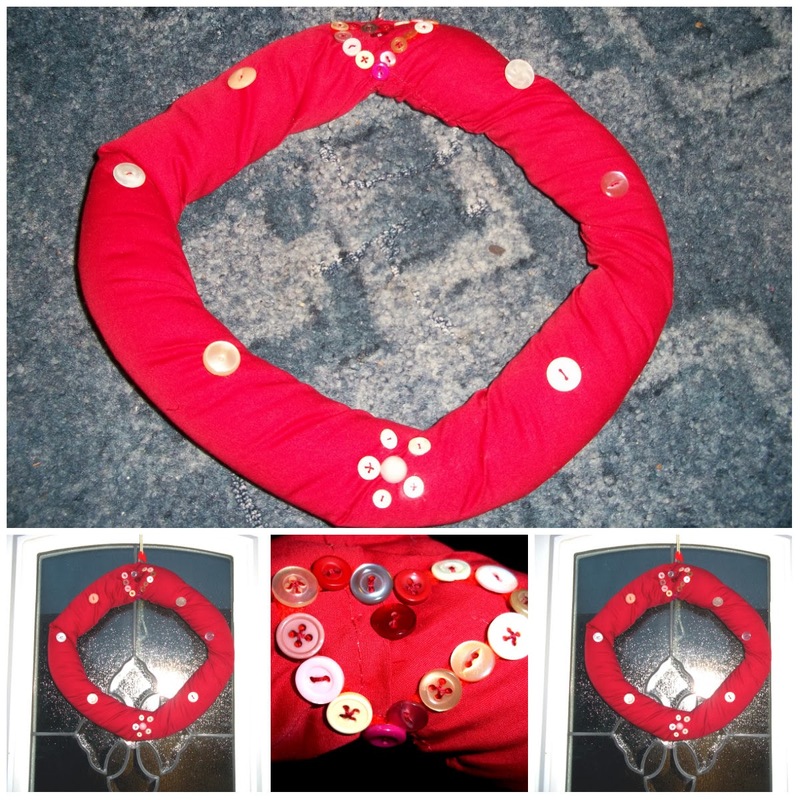 I thought as Valentine's Day is looming, and I've been scrolling through different decorations on @pinterest, that I would try my hand at making a wreath. As we are still feeling the pinch of the post Christmas/Birthday season I have made this from items I already had in the house. Here I have an offcut of red material, a wire coat hanger and the inside of a laundered old pillow. Then I took the red fabric. This offcut already had a hem on there which made then next step slightly easier/neater. I wrapped the material around the wadding and sewed it with a rough running stitch. I did this all the way around the circle. Then my mind moved to how do I decorate this? BUTTONS!!! I have so many different styles, colours and shaped buttons. So I selected a few.